MoneySmart Exclusive: Get S$200 NTUC Fairprice OR CapitaLand Vouchers! Applies to new to bank customers. 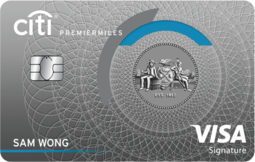 2 Citi Miles for every S$1 spent in foreign currency on retail and online purchases.